Photography is an interesting game to be in. It’s not always the best photograph that’s the most important. For many years Brian Croser commissioned me to shoot a simple vintage group at Petaluma. I shot some significant landscapes, but in a funny way I’m sure these yearly group shots were just as important to the Petaluma story as all the great vineyard shots. 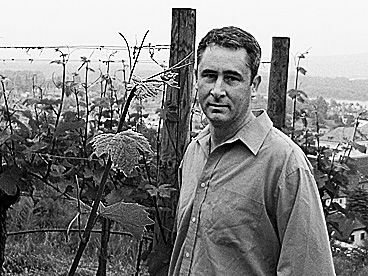 Brian Walsh saw these group photographs all lined up in the Petaluma lab one day and asked me if I could do one of the Yalumba group, next time I was there. I’ve done a few since then, but the first one is my favourite. 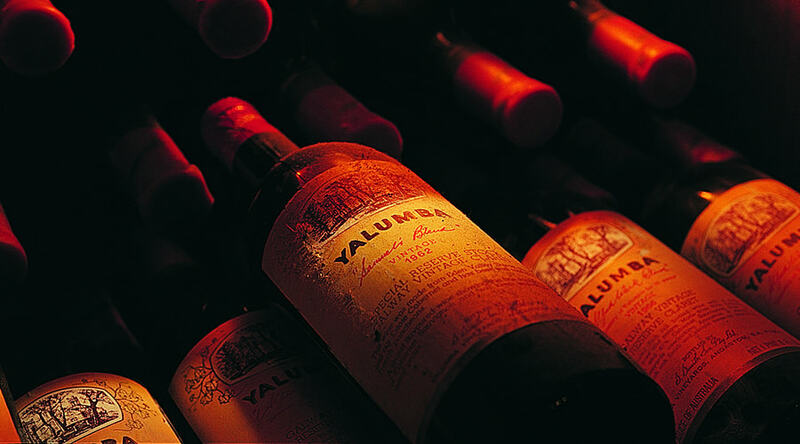 Yalumba Vintage Classification 2001 : Photo © Milton Wordley. 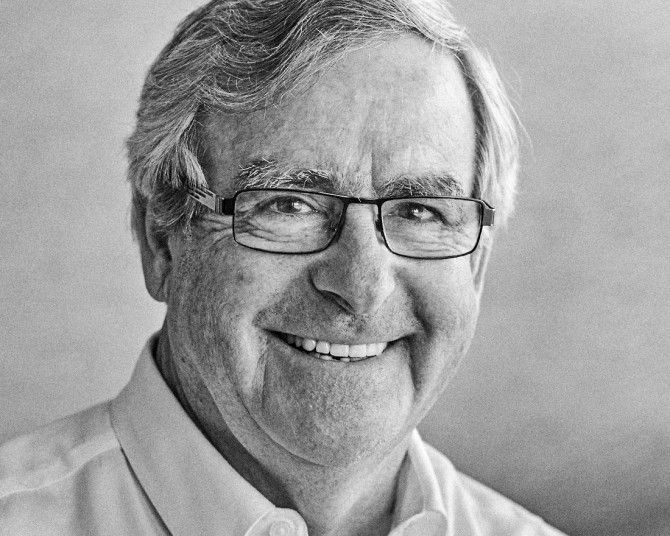 Brian was chief winemaker at Yalumba for many years. He is now an independent wine consultant and chairs Riverland Wine as well as the Wine Australia board with Brian Croser and others. I couldn’t say our family were wine drinkers even though they owned the Aldinga Pub. 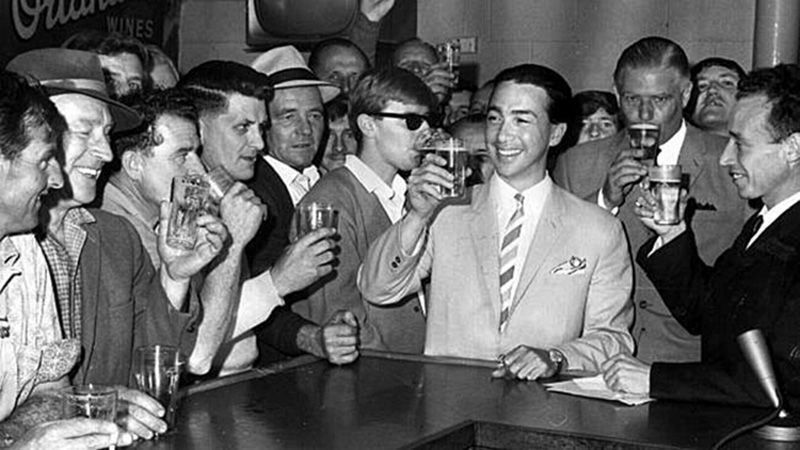 They used to drink a bit of sherry but they were mostly beer drinkers. The old Aldinga Hotel. Photo © Aldinga Bay Residents Assoc. It was a typical country pub with a wide verandah, serving mainly the local farming community and holiday-makers. Dad’s parents owned the pub, so he grew up there. His father died when he was about eight so his mum leased the hotel out and moved the kids into the city. Mum and Dad decided to move back into the Pub in 1947 and gradually bought the other siblings’ shares. They raised us six kids there. It was a good life – a fun life. That was the days of six o’clock closing and we didn’t trade on Sundays – so it was busy when it was busy and you went flat chat. We all had jobs to do. I was running the bottle department, which was basically just a hole in the wall, from the age of 12. I was reflecting on that recently – all the shelves were full of Orlando Yellow Label sherry, Invalid port and McWilliams wine cocktails – it was all fortifieds. 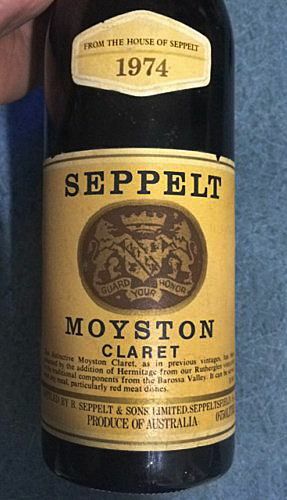 All the table wine – Moyston Claret, Reynella ‘Premier Cru’ or ‘Bin 2′, Quelltaler, Hock etc were stored “out the back” and available on request. These were mostly for some of the Port Willunga crowd that used to come there for holidays – they were more likely to be drinking table wine. Working in the pub was a fun thing for us – we sort of graduated there – when you were youngish you could count the till – sit at the bar, pile up all the coins and do the tallying and as you got a bit more strength you would be able to sweep the floors and do the mopping – and then glass washing when you were competent. Dad was a bit of a handyman and built a beer garden on the side and decorated it with old rainbow painted wooden beer kegs. My sister has been back in recently to reminisce. I haven’t done that – I’m somewhat saddened that it is a shadow of its former self. How did you get into the wine industry ? I entered wine by chance. I was accepted at Uni to study Physiotherapy, but my mother was quite keen for me to get a job. While it was never mentioned directly, I’ve recently thought that Mum may have thought I was a bit young to head off to the big smoke. I was still 16 when I matriculated, and while I was out surfing and mucking around – mum used to put little rings around ads in the paper. Walter Reynell & Sons, now Chateau Reynella. I went for one at Walter Reynell & Sons as a Lab assistant. 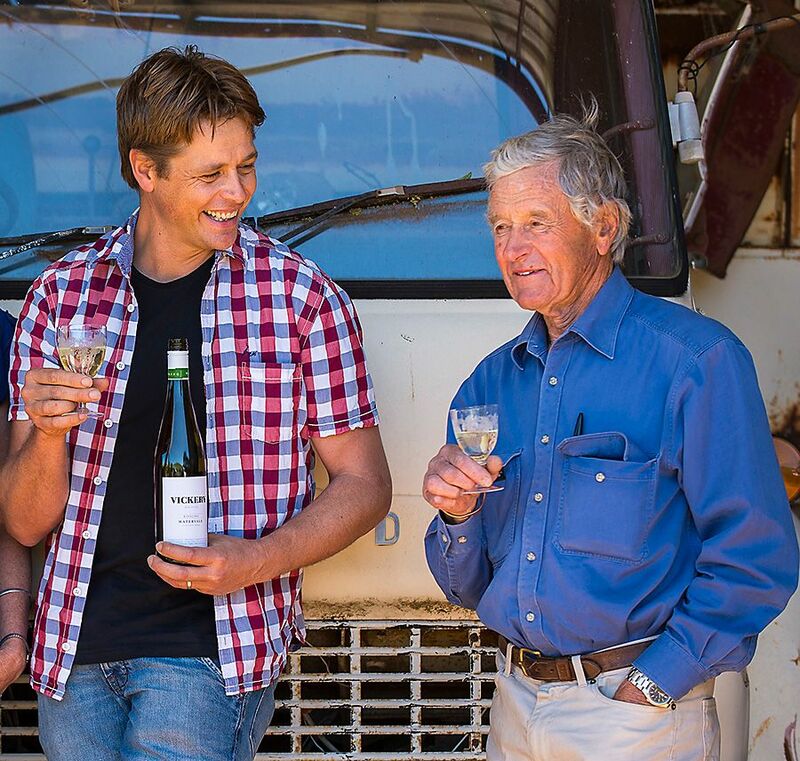 I got it – it was a temporary job – while the incumbent lab assistant, a bloke called Ian White, was heading off to Roseworthy College to study oenology. I enjoyed the work. Roseworthy was pretty tough in those days. I think Ian failed a subject, he didn’t come back to Reynella to work, so my job just rolled on and became permanent . One day I asked the company if they would send me to Roseworthy. Essentially they chose not to. So basically I had a bit of a dummy spit. 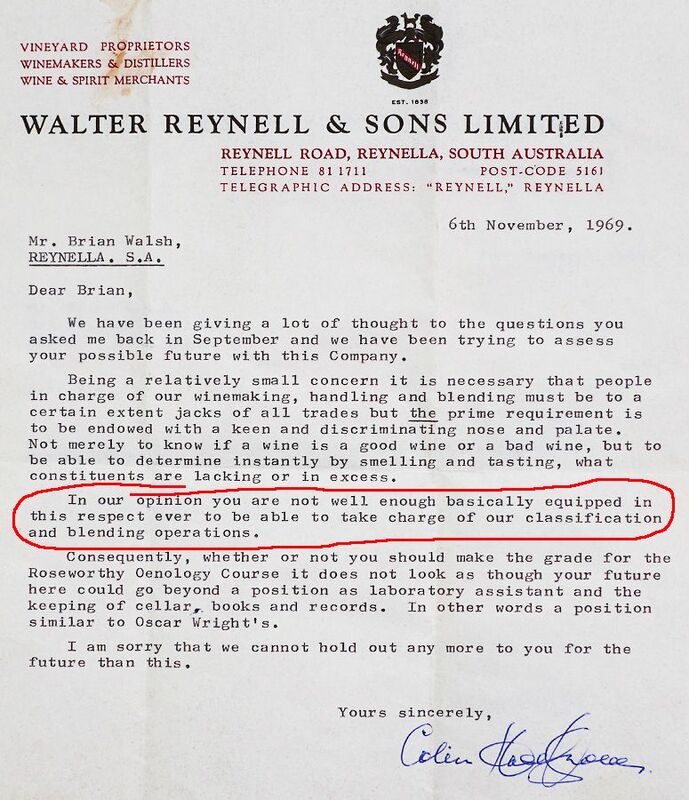 Colin Haselgrove 1969 letter to Brian, telling him his future at Walter Reynella & sons was limited. Even though I was a fairly timid young bloke of 17 or 18 , I thought bugger that, I think I’ll leave. In those days you could always get jobs some where. So I went knocking almonds down at Willunga for the season. I went back in to see one of the guys at the cellar in Reynella, and my immediate boss Don Hughes was there. Brian in a Bushing Festival PR shot taken at Ryecroft in the late 70’s with L to R Wayne Thomas, late father of Andrew Thomas and Chris Ingoldby. He asked what I was doing and I told him that I’d just finished almond knocking. So then he asked if I would mind helping out doing a few baumes and things for vintage. I said, “OK as long as it is just temporary” – and as they say in the classics, the rest is history. I had 20 years in McLaren Vale working at Reynella, Ryecroft, Wynns and Thomas Hardy, before my big break when I was offered the role of chief winemaker at Yalumba in 2008. Did you end up going to Roseworthy ? No I don’t have any formal wine qualifications as such – in fact I almost haven’t got a birth certificate because I think the old man forgot to do that too. When I went to get a passport I had to go and get a statement from the hospital verifying that a person of my name was born …. I still have my extract from the registrar – saying no record could be established. So yeah – I don’t have any papers mate – but I’ve paid tax all the way along the line so somebody knows about me. 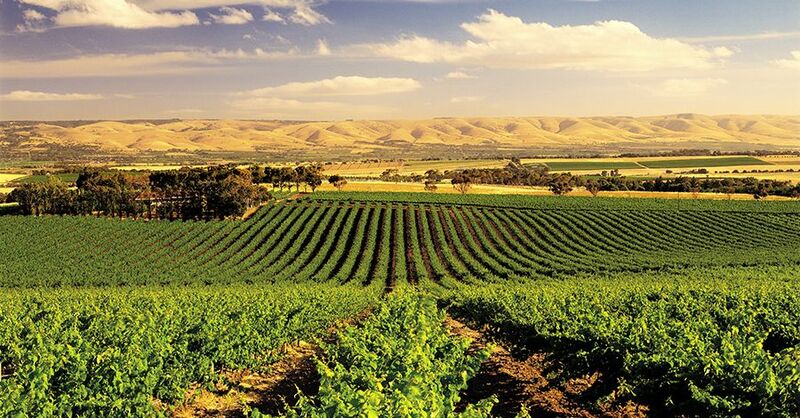 McLaren Vale : Photo © Milton Wordley. Interesting times along the way to becoming WA chairman ? As I said, I had twenty years in the Vale working for a number of wineries. That was the first stage of the multi-national takeover era, and we had a couple of takeovers. At Reynells we were bought initially by Hunter Valley- based Hungerford Hill which was at that time the youngest wine company in Australia. Soon after that Rothmans bought a half share forming a company called International Cellars. I left there to go to Ryecroft and then Wynns at Glenloth. Ryecroft was owned 50/50 by Gilbeys and the Reed Paper Group, while Wynns was owned by Castlemaine Tooheys !! 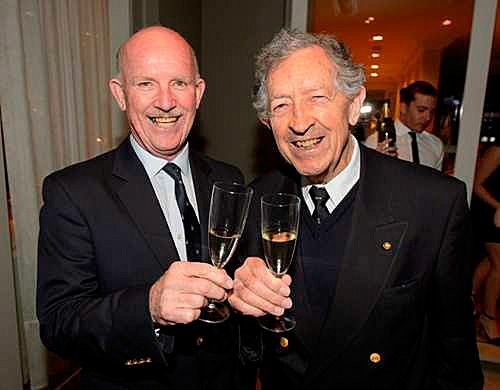 Bill Hardy and Sir James Hardy at the Eileen Hardy 2014 launch. Photo © Dominic Lonergan. At Wynns I was winery manager – that’s where Pam Dunsford (head winemaker) and I worked together for a number of years. Then we were taken over again in the mid 1980’s by one version of Southcorp or Penfolds or whatever it was called then. In those days at Glenloth we used to do all the Seaview Sparkling base wines and do final blending and bottling preparations for Wynn’s Coonawarra etc. We were building a new sparkling cellar on the site, it was a huge project in its day – but that got kyboshed and they eventually shifted all the infrastructure up to Nuriootpa and it became their red wine cellar. I didn’t really want to go to the Barossa at the time so I decided not to continue with the company. I went down the road and Hardys offered me a job as an operations manager. I sat alongside Tim James, Geoff Weaver, Bill Hardy and all that lot – they were fun days. Then after not wanting to go to the Barossa, two years later I went to Yalumba. It was a big step for me, but I had always admired Yalumba and their wines with a strong R & D focus and a reputation for innovation. 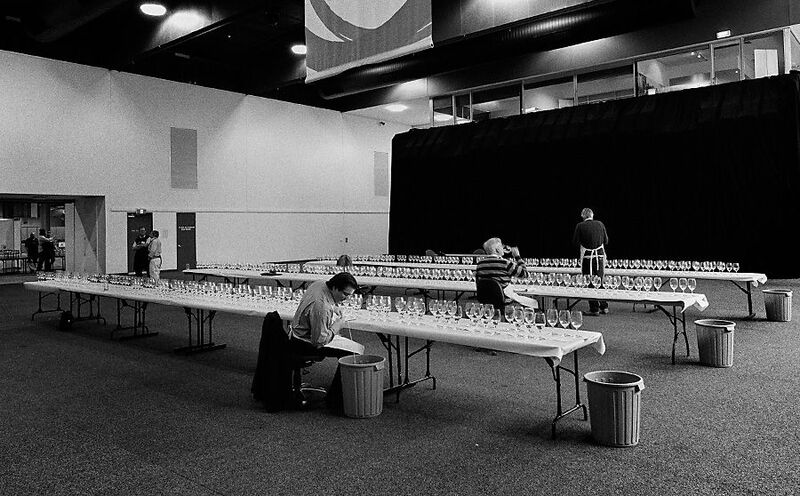 Yalumba ‘Reserve Cabernet Shiraz’ wine of the show at the Canberra Wine Show 1992. 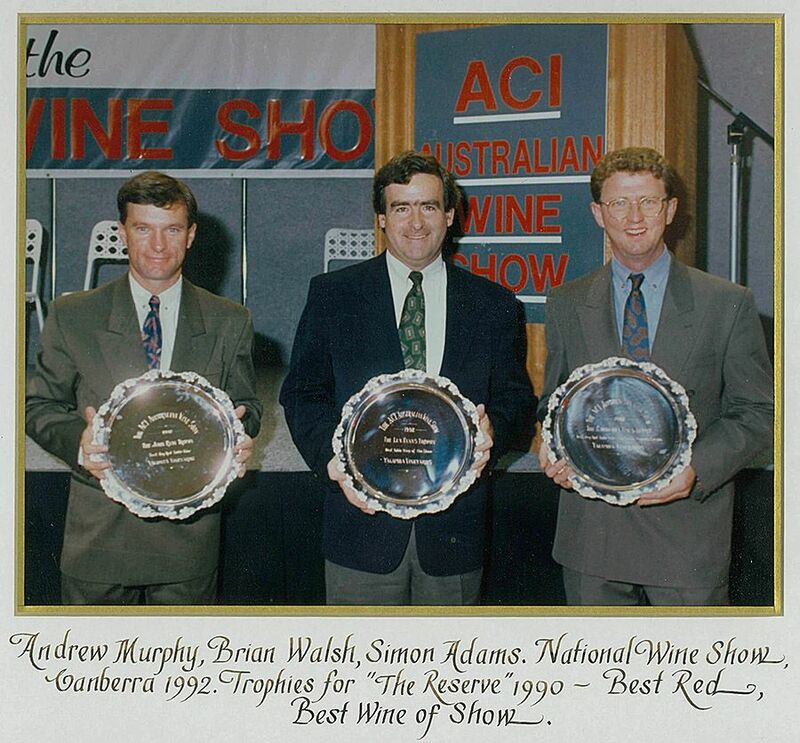 L-R Andrew Murphy, now Yalumba Director of Wine, Brian and Simon (Sorby) Adams Red Winemaker. Simon now has his own winery ‘Sorby Adams’ in the Barossa. Frankly, I was somewhat apprehensive about my capacity to run the production operation, but you soon learn that in a management role as long as you have good people around you things can work well. 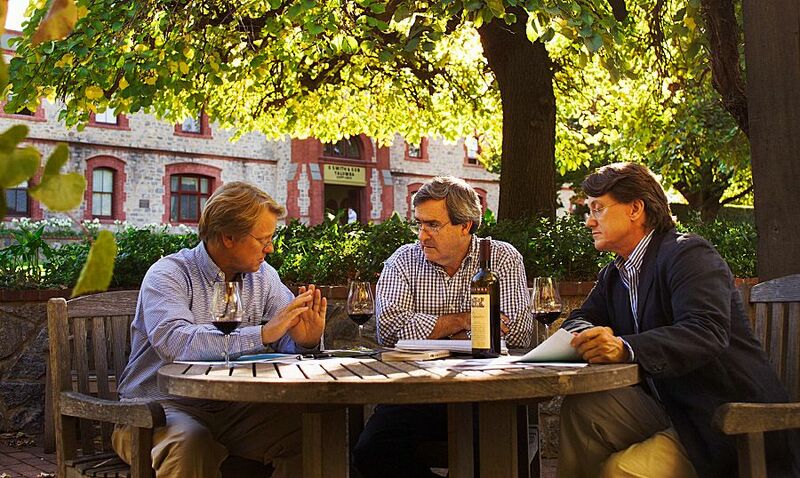 I was chief winemaker and later was fortunate to be offered a directorship with the company for 10 years. At the interview stage, Robert Hill Smith had said “ you don’t have to commit for life, just give me 5 years”. Almost 25 very exciting years later, I moved on. Yalumba meeting 2005. Brian with Robert and Sam Hill Smith : Photo © Milton Wordley. You decided to work for yourself when was that ? I left Yalumba on the 13th of December 2012. I left without a plan, because I didn’t want to start setting something up while still drawing a salary from Yalumba. 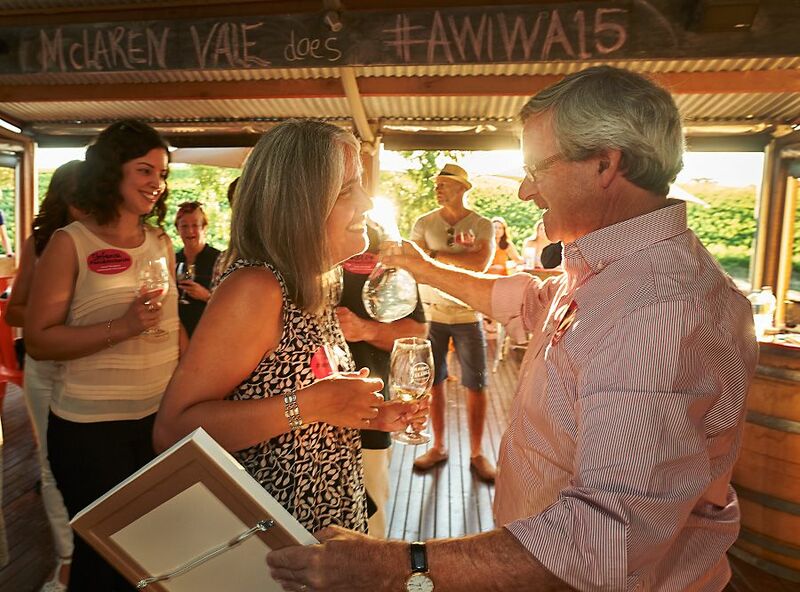 Brian Walsh presents Irina Santiago-Brown with her 2015 Women in Wine Award ‘Viticulturist of the Year’ award . Photo : Milton Wordley. After 45 years of being employed by someone else – I just basically wanted to leave and have a break and think about whatever came along. In a funny sort of way – a lot of that is still ahead of me because I’ve taken on some things which I didn’t intend to take on, like Wine Australia and have sort of deferred that time when I could actually do the things I want to do. I’ve still got ideas ticking around in my head and hopefully if I keep well enough and sane enough I’ll still have time to do some of those things. You’re not making any wine at the moment, do you miss that ? I don’t miss it particularly, as I’m still working with a couple of wine companies. I’m a director of two small family businesses – I taste with them and work with them. I also do some other tasting work with a couple of other clients so I feel like I’m still in touch. In reality my wine making for well over half of my career has not been very ‘dirty fingernail’ wine making. My role has often been supporting the winemakers, resourcing them as best I can, giving them the room and confidence to express themselves and hopefully providing sound guidance. Jonnie, Jonathon Hesketh, MD of WD wines. Photo supplied by WD Wines. I’m working with Phil Lehmann at WD Wines. Its terrific working with Phil again – he was at Yalumba when I was there, before leaving to go back to Lehmanns. It’s funny how things happen, WD hadn’t been going that long and we were starting to get things happening and we needed a winemaker…. a couple of names were thrown into the ring…. people I thought might be available. One of them was Phil – but it didn’t resonate particularly with Jonnie at the time. It was either that day or within the week when I was driving back to the Barossa from Adelaide and Phil rang. I hadn’t spoken to Phil for about 2 and a half years and he said – “Got time for a chat ”… Normally when people say that they want to talk about their lives. He said, “I’m just thinking – I need to move to the next level and take on some more responsibilities.” “ I really don’t want to get involved”, I said, “ but I know where there is an opportunity – you go and talk to Jon… the chemistry has got to work for you guys”. Anyway it did and its been fantastic. Phil and John Vickery. Photo © John Kruger. I think when he joined us at WD it was the first time he probably had autonomy in his working life – he was the wine boss, in charge of everything from grapes to glass. Changes in the industry over your 50 years ? There has been so much change, Reynella was a great start to my working life. Colin Haselgrove was the boss, he was a visionary, notwithstanding that he didn’t think enough of me to support my further studies ! We made ‘burgundy’ styles from shiraz, ‘clarets’ from cabernet & shiraz blends , plus varietal cabernet sauvignon. As important and fun as that was, the bread and butter was still sherries, other assorted fortifieds, brandy and flagon wines. To some extent, those red table wines are a constant. 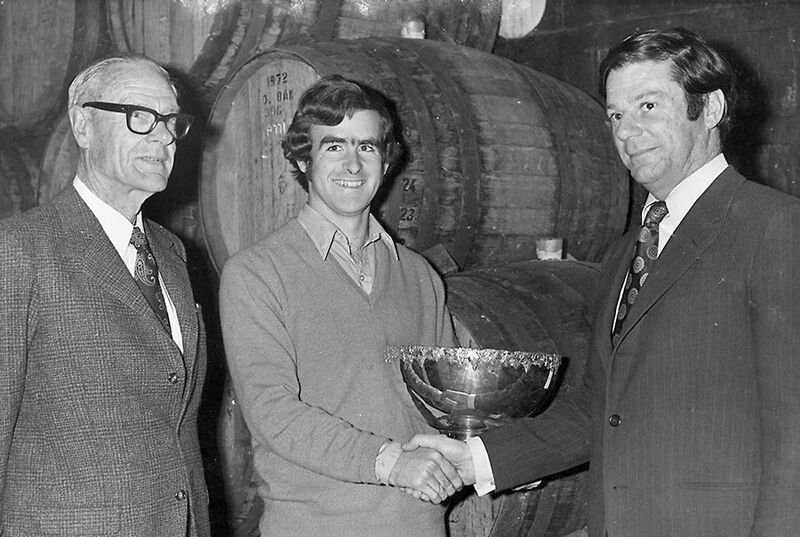 McLaren Vale Wine Show (C1972). Reynella won the Dan Murphy Trophy for best Cabernet Sauvignon. L to R is Colin Haselgrove (MD of Reynells), Brian and Tim Lang, General Manager of Hungerford Hill. I don’t think chardonnay was planted in South Australia at the time, in fact we made an attractive white from Gouais, which the cellar guys called Gooey. It was a disciplined environment – I learnt much from Colin Haselgrove and his production manager – my immediate boss Don (Happy) Hughes, who sadly died prematurely. Don gave me his 1947 “principles of winemaking” notes from Roseworthy and recently I gifted them back to The University of Adelaide. 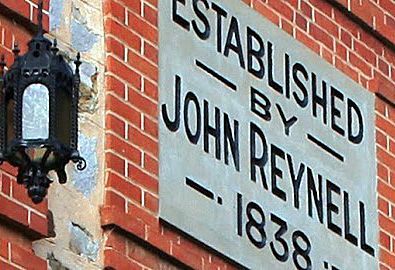 John Reynella est 1838. Photo © Philip White. 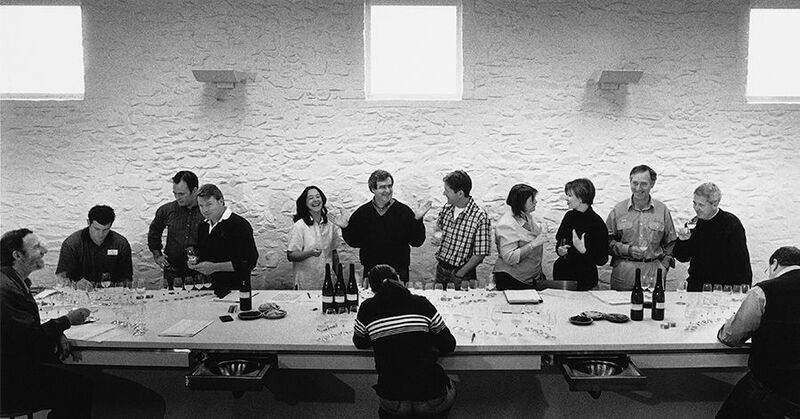 At Reynella, I used to prepare all the trial blends and trial finings for the tastings and I’d listen to their deliberations from the adjoining room before tasting myself once they’d left the room. The quality world wide has also lifted – we are very lucky but wine consumers around the world are the lucky ones. Everyone knows how to make a really good product. I have found here in Australia or when I travel the wine regions of the world you can knock on the door of a winemaker, or a viticulturist or a grower in any country and say, “Hi I’m so and so “ – and then its…., “ come in taste this, try that”. It’s still competitive but it’s a very open environment, because everyone is driven by making better and better wines and sharing their love of wine. I think that we are very, very lucky to have the opportunity to work in this environment. You talk to people in other manufacturing fields and it doesn’t happen – everything is secret, a closed shop. 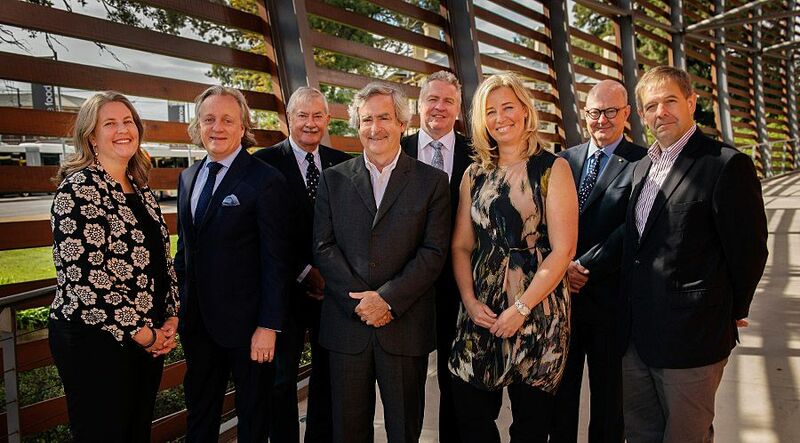 How long have you been the chairman of Wine Australia ? Two and a half years now. The new Wine Australia (AGWA) was formed on July 1st, 2014. Wine Australia’s web site home page. It was created by the merger of two pre-existing organisations Wine Australia and the Grape and Wine Research & Development Corp. (GWRDC). The idea was to integrate RD&E with market development and compliance to hopefully achieve an integrated and aligned service provider for the sector, while saving some levy payer funds. I was acting for a year and it became a permanent position in July 2015 for 2 years – so I am 18 months into my term. I think quite well really, but that’s a biased view. There was a lot of conjecture beforehand from various industry commentators, I think Madge (Anthony Madigan WBM) and Co were saying that the two organisations were like North and South Korea. So everyone was a bit nervous and we were all kept in the dark until virtually the Friday night of the 27th of June 2014, when we were asked if we would join this new organisation starting on the Monday. By we, I mean the Wine Australia board. It’s a strong, experienced board, none of them need to be there – they want to be there. They are people who have all made a contribution in some form or another in the past and have made time available to work with us. We meet normally bi-monthly. We have excellent staff across the business to back us up. My personal ambition is to support our staff through CEO Andreas Clark, in reaching their full potential. We don’t directly sell wine, but work to create an environment that allows our growers and winemakers to succeed, particularly in the export space. Our starting point is a belief that we make some of the finest wines in the world from distinct terroirs, grown and made by gifted people, supported by great research and a robust regulatory system. We are very comfortable using the word terroir because it has international resonance. People say it’s a French word and it doesn’t mean anything. The French have gifted many great words to the global lexicon and terroir is internationally recognized in the wine sector, if a little mysterious. We hope to put some solid science behind the understanding of what terroir means to our wines, while not destroying the mystique. The rest of the world don’t see enough of our great wines, so our reputation tends to centre on our equally strong and important branded and commodity wines. 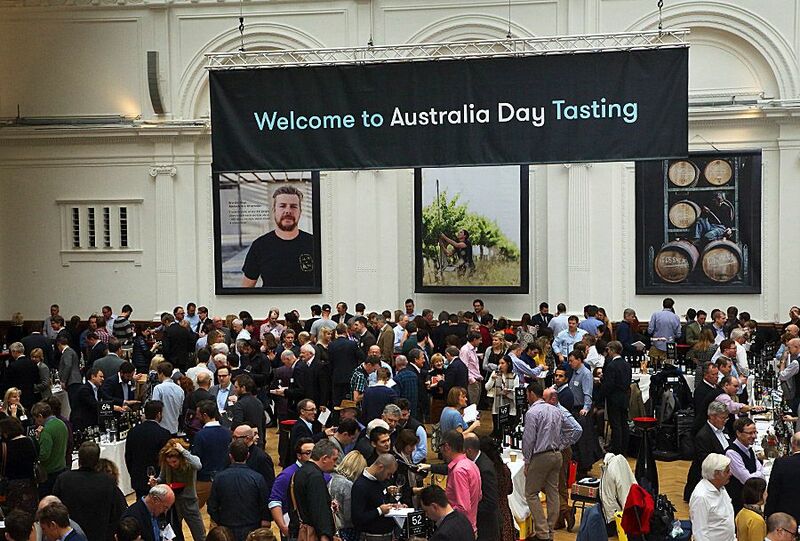 London Australia Day tasting 2016. To get all wine (and grape) prices up, we need to elevate the global perception of Australian fine wine and bring the whole of our grape and wine community along for the ride. The WET tax gets quite a lot of publicity : in layman terms what is the ‘Wet Tax’ ? 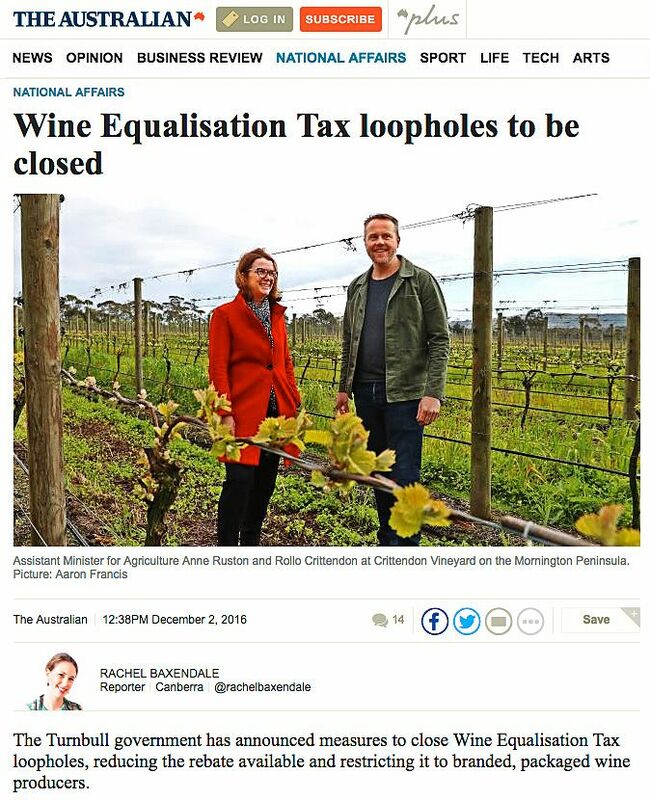 At Wine Aust we don’t get directly involved in tax debates, but WET is an acronym for Wine Equalisation Tax. Prior to the federal Govt’s introduction of the 10% GST, Australian wine incurred a 42% sales tax. Rather than leave wine at 10% GST, the Govt added on another 29% to match the pre-existing 42% sales tax. That 29% was the equalisation tax – WET. Sadly, Govt’s often only look at revenue opportunities and harm mitigation when it comes to wine and other forms of alcohol. It is rare to see to public acknowledgement of the benefits that responsible wine consumption can bring to our society. However, at the introduction of the WET there were some concessions in the forms of tax rebates (with limits) for wine sold ex cellar, to acknowledge the importance of our sector in regional communities. What are the recent changes to the ‘WET tax’ and how will they impact on the Australian wine community ? Changes to the WET tax made national news, here is the Australian’s story. There were some unintended consequences of the above rebate, leading to some market distortions, meaning that there were significant claimants of the rebate who were outside the original intent of the rebate. Most were lawful, but many were outside the spirit of the legislation. Recent announcements are intended to return the rebate to more closely resemble the original plan. Senator Anne Ruston the new Minister for Wine, has driven these difficult changes with much consultation, and it has now brought clarity and certainty to the space, while providing some time for businesses to adapt to the new regime. She came up with a plan which I think has got pretty wide spread support. Basically it is tightening up the restrictions – it has to be for bottled and labelled wine – you have to own it from grapes to sale of bottle. We’ve got 6000 grape grower levy payers and about 3000 winemaker levy payers – so it’s going to be hard to keep everybody happy. Any other immediate benefits from the changes ? Yes – part of the offset with these changes is the government’s commitment to $50 million over 3 years, to invest in export market development growth and international wine tourism growth. It’s public money – and the Government has specific priorities – but they are asking Wine Australia to manage the process. Wine Australia display at ProWine Asia 2015. We are currently in the consultation stage with industry bodies and state associations. It will also involve working with Tourism Australia – the experts in tourism. T.A. are already investing significant money on their ‘Restaurant Australia’ program and it is paying big dividends. We are co-located in three offices – Sydney, London and Shanghai. Wine Australia has a strong relationship with Tourism Australia and we now have the possibility to bring a little bit of money to the table as well as our goodwill and regional tourism offering. We have to get a plan to government in the next few months – and it must be sufficiently robust and professional to be signed off by cabinet and PM – but essentially it should mean that by first of July 2017 – we will have about $16 – 17 million a year, over three years, to invest in that space. 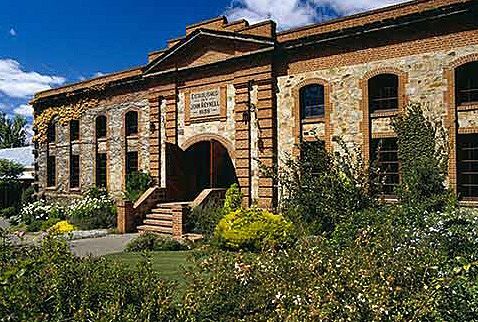 Part of the rationale for the stimulus package is the recognition that it may be tougher for some small wineries because of the reduction in the quantum of the WET tax rebate – hence the attempts to get more visitors into the regions and more pathways for wineries to get into export markets. We are thinking of encouraging like-minded winemakers to form clusters to create critical mass as we travel the world, whilst also showing off our collegiate culture. Research is also a major part of WA’s role. Research is the larger part of our budget by a significant quantum, specifically because RD&E attracts dollar for dollar co-funding from the Federal Govt. Some suggest that we should spend less on RD&E and more on marketing. I’d suggest we keep investing similarly in R&D and boost marketing and market development spending. The beauty of our current organisation is that we have a capacity to, where appropriate, align research priorities with marketing objectives. The AWRI Wine Microorganism Culture Collection (AWMCC) is a world-class repository of diverse, wine-relevant strains of yeast and bacteria that can be readily accessed by Australian wine producers and researchers. Image © AWRI. For instance, understanding what makes Australian wine unique through the robust scientific study of our terroir, can both assist our winegrowers to make better wine as well as underpin subsequent unique attributes, storytelling and marketing of our wine to the world. Not forgetting that other research may be more fundamental in vine health, plant physiology etc, plus of course we play the major role in funding the Australian Wine Research Institute (AWRI). 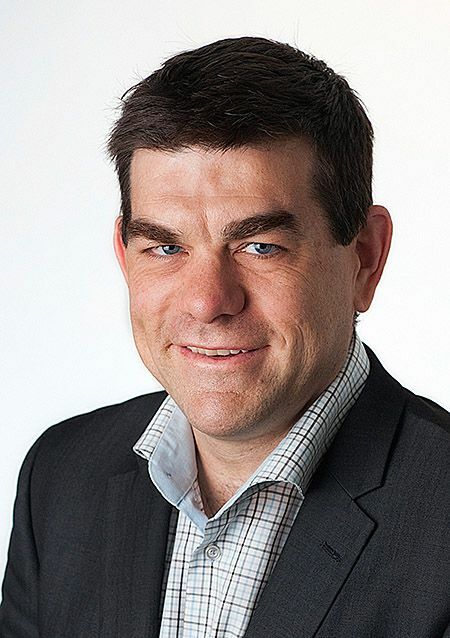 Australian Wine Research Institute Managing Director Dan Johnson. Image from InDaily article. Research and trouble shooting supports our global reputation for excellence. For example, lets say a there is a trade issue where some country is saying “the sodium levels in Australian wine appear high – you must be adding salt“. We can go to the AWRI and they’ve got 25 years of data to verify that this is a natural occurrence in our landscape. If we didn’t have that information we could have a trade barrier because of an incorrect assumption. It is vital that we have a strong international team of researchers there. We encourage collaboration – such that a research project has a stronger chance of receiving funding, if say, the AWRI are collaborating with the CSIRO collaborating with SARDI collaborating with Charles Sturt University etc. 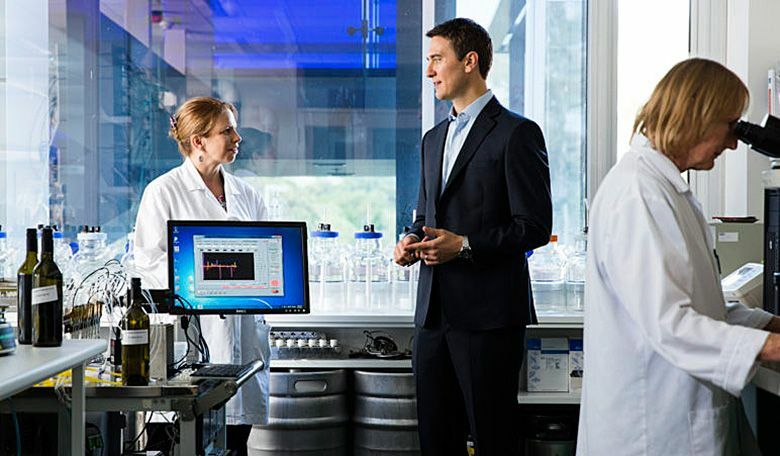 We are developing strategic partnerships with those major providers like CSIRO, SARDI and the Universities plus a few other experts in particular fields that may be outside the wine industry. 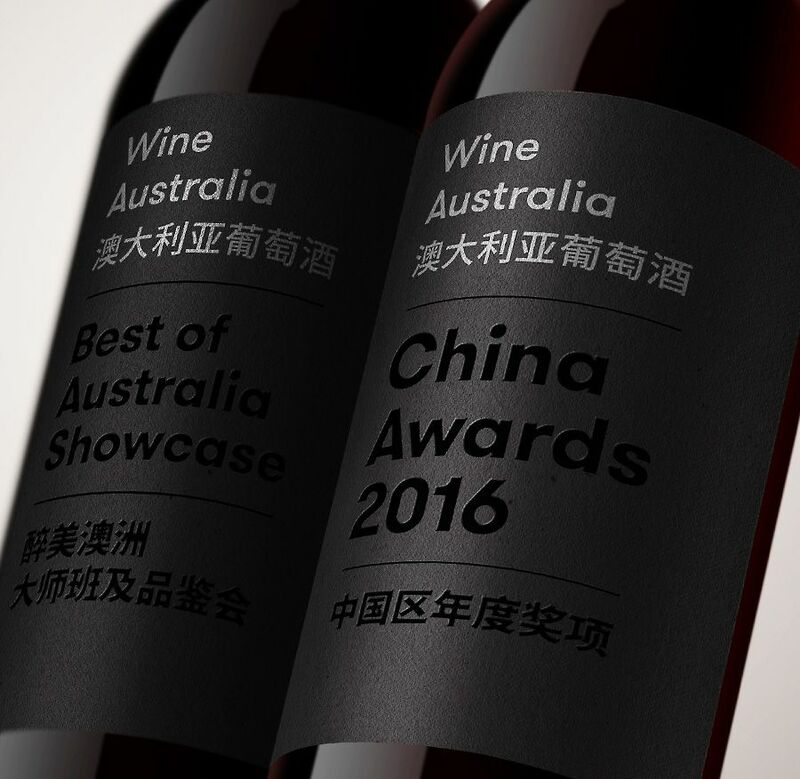 Wine Australia 2016 ‘China Awards’ : Photo © Wine Australia. Wine Australia funding and liaison with the Minister’s dept ? We are funded through compulsory grape and wine industry levies and export charges and the levies are quite specific in nature. Some funding is directed towards market development, while the Research levies which are augmented dollar for dollar by the Govt are quarantined solely for R&D. We have twice yearly formal meetings with the Department – being party to a SFA (Statutory Funding Agreement). Its tax payers’ money, so totally understandable and appropriate that we have to be accountable, and tightly audited. What role do think the ‘Wine Shows’ play in the Australian wine scene and do you think they should be tiered e.g. National State and regional ? 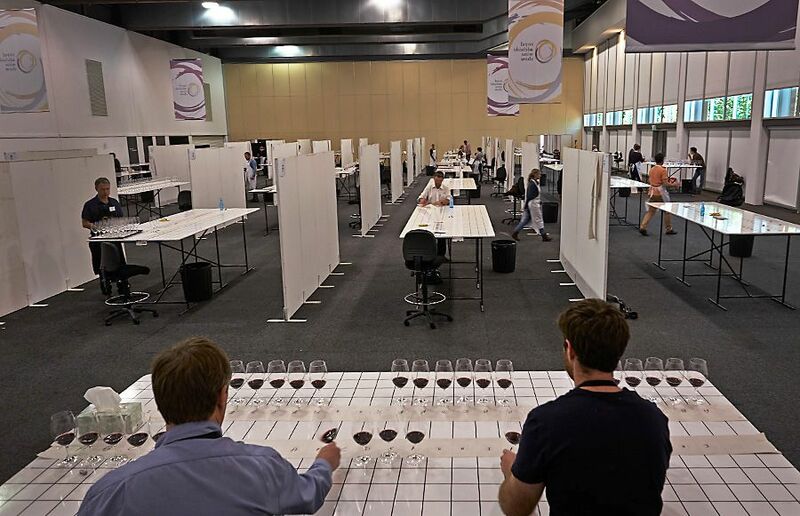 The Australian wine show system has played a significant role for over 150 years in quality improvement, style evolution, education and promotion. It’s not a perfect system, but it is a system – and one that continues to evolve and respond to changing needs. I give a lecture each year on the Australian Show System to the Adelaide University oenology students, always asking the question “do we have too many shows? ” to which the answer is yes, no, maybe. In reality, if wineries saw no value, they would not enter and the shows would fold – and that’s not happening. 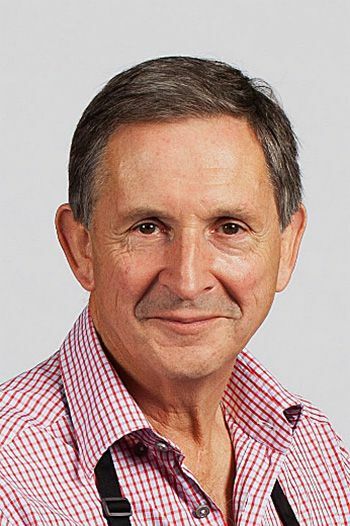 The ASVO(Australian Society of Viticulture and Oenology) and in particular people like Nick Bulleid and Tony Jordan have given a lot of time and thought into guiding changes over recent years. Over the last 20 years the ASVO has had a little wine show group quietly working in the background. Just recently they did some further upgrades of standards – keeping the whole thing evolving as well, so that’s been a good thing. Recently, we’ve been thinking about ways to get the wine shows to the world. When international judges come here, they are blown away by the rigour of our competitions and organization which supports it. They say “If only our consumers knew what goes on behind the scenes..”. 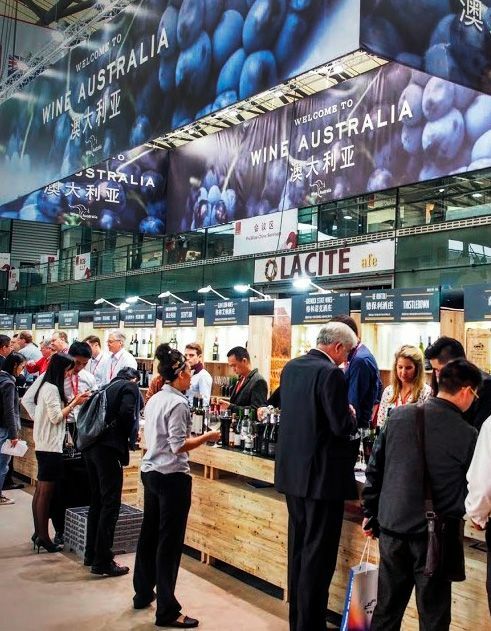 In 2016, The Sydney wine show took their top trophy and gold winners to the tasting that Wine Australia was having for Wine week in China. We are working hard to take that message out of our provincial home towns and to the world; to talk about how our “Wine Show’ system has contributed to our wine quality. I was also very happy to be part of the Adelaide Wine Show team that developed the Provenance concept in our shows several years back, the concept is now being quite widely adopted across the country. Any wine styles you think we will see in the next few years ? I’m not very good at predicting the future. In a general sense, I think alcohol levels will be lower – science may play a future role in that space, to create and preserve flavour and quality at lower alcohol. 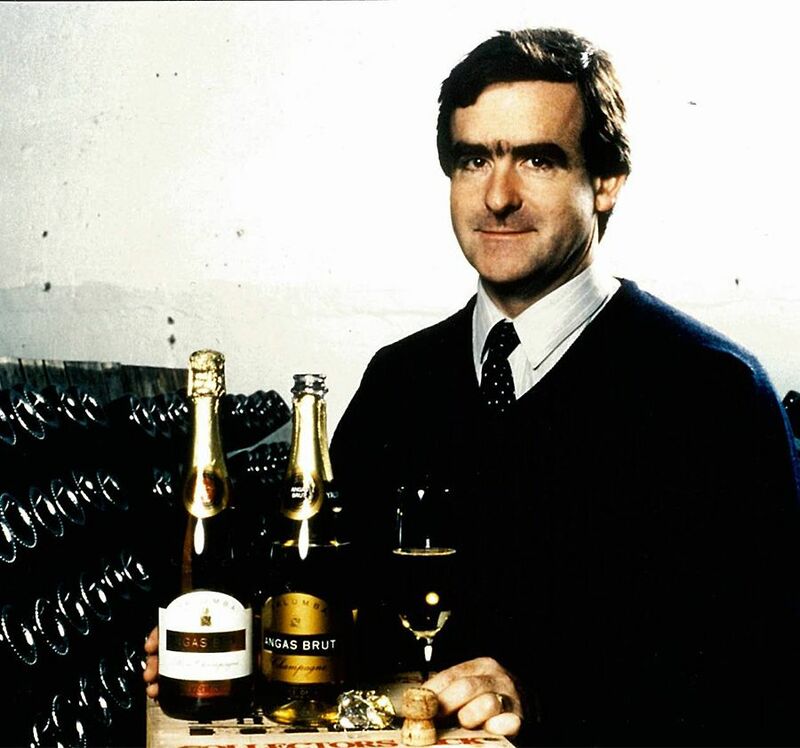 Official Yalumba publicty shot to announce Brian joining Yalumba in 1988 ; note ‘Angas Brut’ as the ‘feature’ wine: Photo courtesy of Yalumba. I would like to see us less focussed on the grape variety, particularly the single grape variety and more focussed on place and style. It is great to see all the diversity from varietals previously not featured in Australia, but I suspect they will continue to be niche offerings – and there’s nothing wrong with that. I’m looking forward to the day when we are proudly drinking wine made from Australian grape varieties, bred by the CSIRO. Favourite wine variety or style ? No absolute favourites – always keen to keep trying new things. I drink my body weight in riesling over spring and summer, but I think that chardonnay is still the white wine that I get most pleasure from … and there are so many more great Australian examples now from which to choose. Red wine consumption tends towards lighter/medium bodied styles, including grenache, GSM’s and pinot noir. For full bodied reds I have a soft spot for cabernet shiraz blend – that is part of my Yalumba heritage, and other cabernet based blends. I tend to lean to them over shiraz. 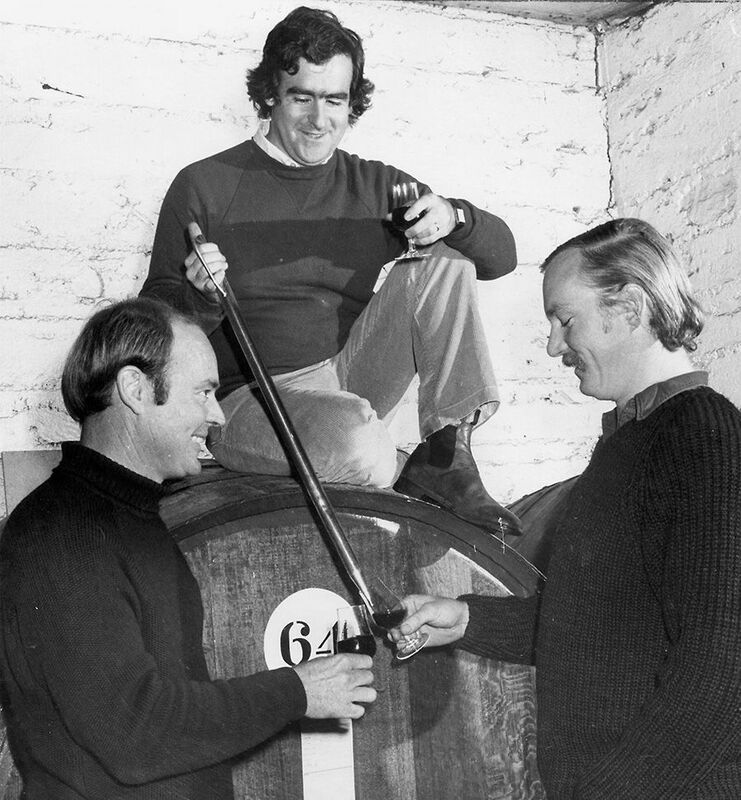 Cabernet Shiraz blends, part of Brian’s Yalumba heritage : Photo © Milton Wordley.